We took delivery of our first A350-900. 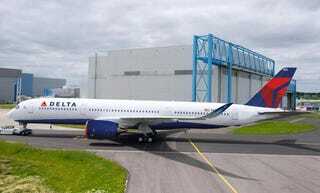 It is a good looking.jet up close and has lovely organic winglets. Carbon wings and fuselage. Brave new world stuff.